Walls is over a year old now, and its promotional window (in Canada, at least) has long passed. 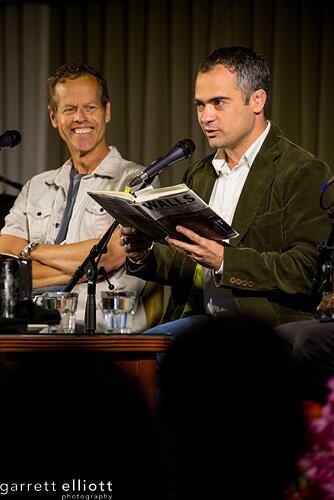 Therefore, I was very grateful to be invited to a couple of excellent writers’ festivals last month. At the charming Eden Mills Festival, I read alongside two food writers, Sarah Elton and Rose Murray. I also ate my share of home-baked pie and enjoyed a pre-reading shoulder massage. (Attention festival organizers elsewhere: writers love free massages!). Thanks to Eden Mills for the invitation. The Kingston Writers Fest made me earn my keep. I gave a solo presentation from Walls to an audience that consisted largely of high school students. (In retrospect, I probably should have picked a less obscenity-drenched passage to read them.) I took part in a panel discussion called “News From Foreign Countries” alongside Glenn Dixon and Shyam Selvadurai – and ably moderated by Merilyn Simonds. Even though Glenn and I are both Calgarians, it took nearly five whole minutes before one of us mentioned Naheed Nenshi during the Q & A. This must be a new record in restraint. I also taught a “master class” in freelance magazine writing to a group of what I can only assume to be masochists. Talking about “walls around the world” and dropping the occasional F-bomb for the kids. 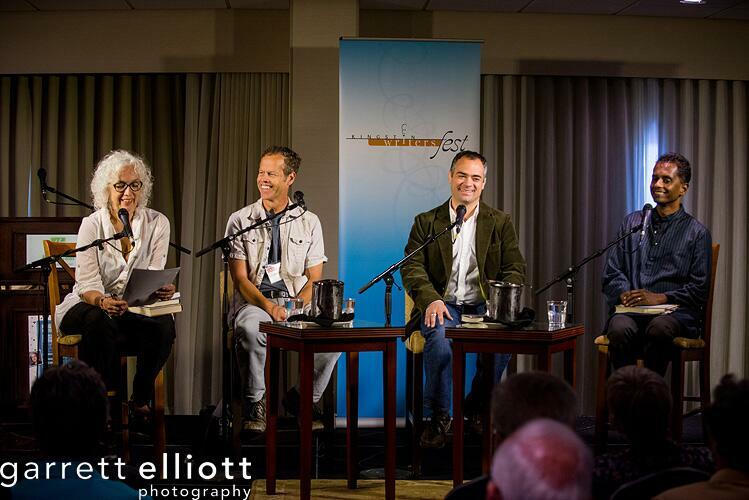 On stage with Merilyn Simonds, Glenn Dixon and Shyam Selvadurai. 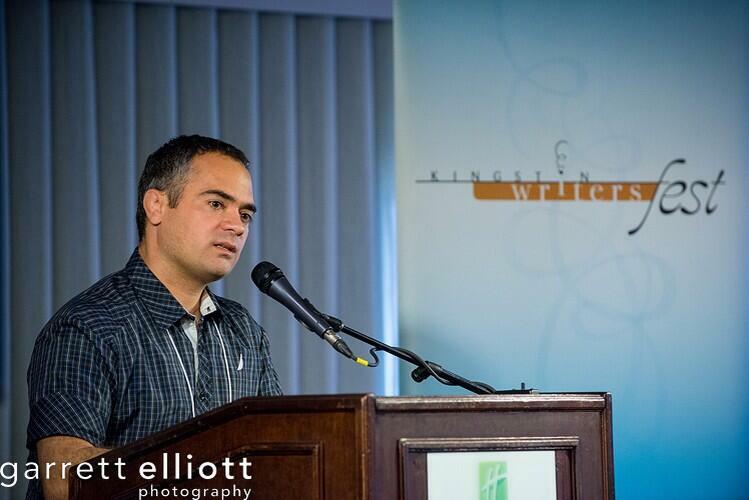 I was one of those high school students in the audience of your solo presentation at Kingston Writers Fest. I was captivated by your stories and went on to purchase and read your book, then share it with family and friends. Thankyou so much for your talk, and I hope you know that you have an effect on us younger readers! Hello Laura. Thanks for the message. Every summer I teach at a writing camp near Calgary for young writers. Teens are some of my favourite people. I am honoured you enjoyed Walls.